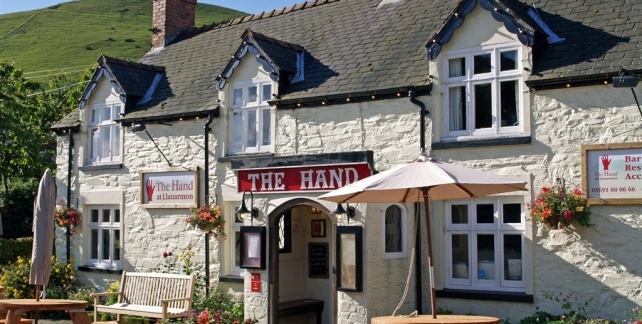 The Hand at Llanarmon is a centuries old inn which is very much a centre of village life embracing local people and travellers alike, with roaring log fires in winter and a terrace garden for warmer days. 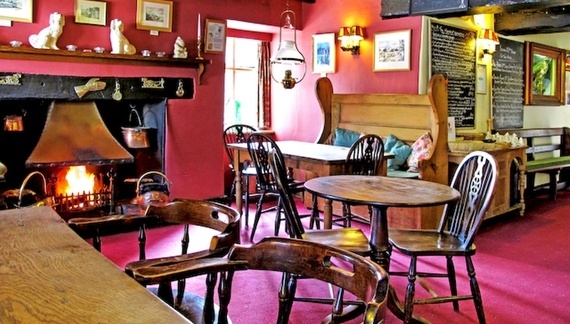 The 3 “Character Rooms” and 1 suite are all situated in the old farmhouse part of the building, enjoying views over the original crossroads at the centre of the village. 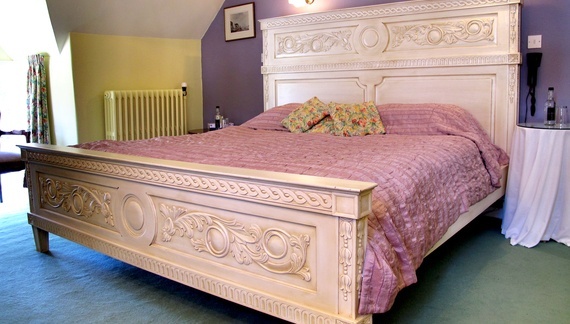 They offer superior comfort, with superking-size beds (standard double in the suite). A further 9 Country Rooms are in what used to be stables and barns at the back overlooking the field and the hillside beyond. Being south-facing, they catch the sun all day. All the rooms are comfortable, well-equipped and warm.As you’d expect, they’re maintained to the highest standards.